This report, part of the Political Settlements Research Programme (PSRP), summarises women’s experiences of intimate partner (domestic) violence (hereafter IPV) in Northern Ireland; the implications of IPV for physical and psychological well-being; its impact on children; and how experiences of IPV are shaped by violent political conflict, religion and culture. The report also records how service providers such as General Practitioners (primary care doctors), social workers and police officers respond to IPV and how helpful victims find these responses. 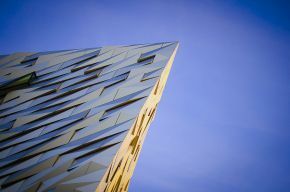 A particular focus of this report is on the changes that have taken place in Northern Ireland over the last few decades, including the transition from violent conflict to a peaceful political settlement. This report is based on findings from more than 100 qualitative interviews with women victims/survivors of IPV from across Northern Ireland conducted at two junctures: first in 1992; and latterly in 2016. It provides up-to-date information on the experiences of and responses to violence against women in intimate relationships in Northern Ireland today, and investigates key similarities and differences in experiences of and service responses to IPV between 2016 and 1992. In the report we outline the conclusions and recommendations from this research.